Sea turtle at Green Island. 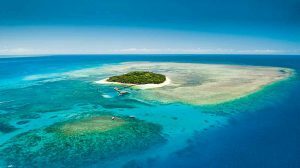 With Cairns being the closest access point to visit The Great Barrier Reef and the World Heritage listed Rainforest of Daintree National Park. 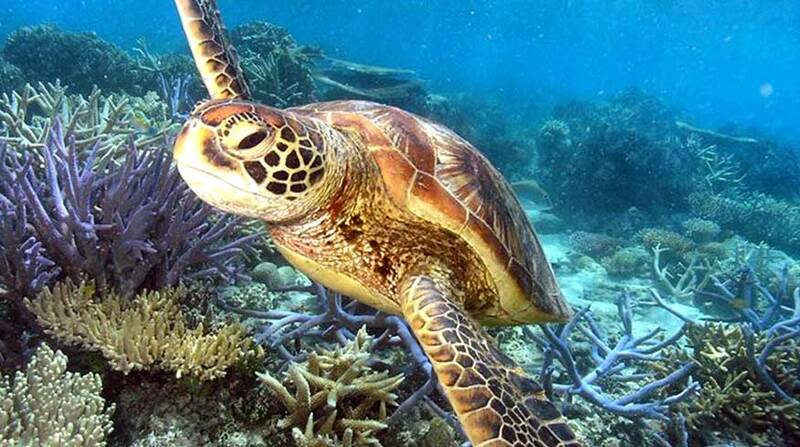 It makes sense to combine your reef and rainforest tours together in a Cairns Tour Package. Not only does it save you money it also gives you piece of mind your tours are booked and confirmed so you won't miss out especially in the busy season of June, July, and August of each year. 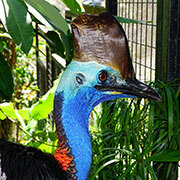 On the right-hand side of this page, you can see a selection of 2 - Day Cairns Tour Packages and 3 - Day Cairns Packages. 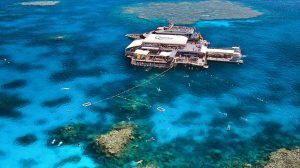 The main tour that is different between all tour packages is the Reef Tour. Both the Kuranda tour and the Daintree tour are the same on all our Cairns tour packages. Why? We have hand selected the best Kuranda and Daintree Rainforest tours companies that offer outstanding service and value for money. 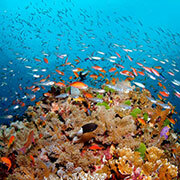 The reef tours are different in each tour package to cater to your different needs. 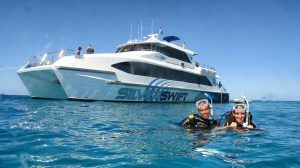 2 - DAY TOUR PACKAGES FOR "NON-SWIMMERS"
2 - DAY TOUR PACKAGES FOR "SWIMMERS"
3 - DAY TOUR PACKAGES FOR "NON-SWIMMERS"
If you are a non-swimmer or perhaps have children or people in your group that do not swim so much. You can choose from our Cairns 3-Day Tour Packages. 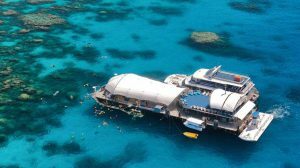 Typically the first day on the reef, the second day visiting Kuranda by Scenic Train & Skyrail, the third day visiting Daintree National Park. 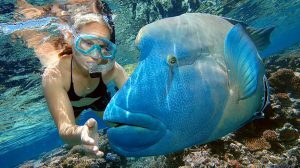 3 - DAY TOUR PACKAGES FOR "SWIMMERS"
If you are comfortable in the water, you would like to snorkel and swim then choose from the following 3-day tour packages. 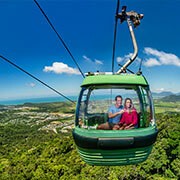 Choose from our range of 3-day Cairns tour packages below. If you don't see what you are looking for "contact us" we will build a package for you. Or try our "tour finder" we can help find you the best tour.